Did you read the Washington Post Health section last week? If so, you may have seen some scary numbers related to sexually transmitted infections (STI’s). Specifically, Chlamydia, Gonorrhea, and Syphilis are on the rise and these three diseases hit record highs in 2016. 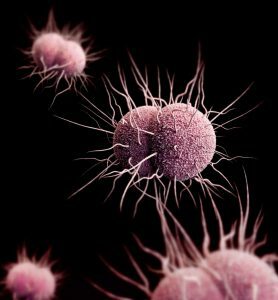 Chlamydia cases increased by 6%, Gonorrhea by 13%, and Syphilis by a staggering 19%. The numbers don’t lie: young women aged 15-24 years old are the highest risk group for STI’s and more than two thirds of Chlamydia cases and half of Gonorrhea cases are seen in this young demographic. Chlamydia is often asymptomatic, so women may not know they have an infection. Long term side effects include pelvic pain, infertility, and preterm delivery if infection occurs during pregnancy. Symptoms can be vague, including discomfort while urinating or discharge. Syphilis rates in the Washington DC area are among the highest in the nation (according to 2000-2013 data we were actually #1!). Syphilis can be asymptomatic like Chlamydia and advanced cases can result in life-treatening illness. We have seen a 6% in congenital syphilis, where the disease is passed from mother to baby at the time of delivery. All pregnant women are urged to get routine screening. Budget cuts have affected centers and clinics in the DC metro area that routinely provide STI screening for men and women. Fortunately, your Bloom Ob/Gyn providers – Dr. Joan Loveland and Dr. Scott Osmun – provide STI screening, counseling, and treatment. Rembember – prevention is key! Use condoms regularly, have an open dialogue with your partner(s) about STI testing, and definitely make an appointment if you have concerns about a possible exposure or unusual symptoms. Fortunately, all three of these STI’s are curable if detected early and treated properly.